Back in the October 1955 edition of Mechanix Illustrated, readers got a glimpse of their automotive future that never was. 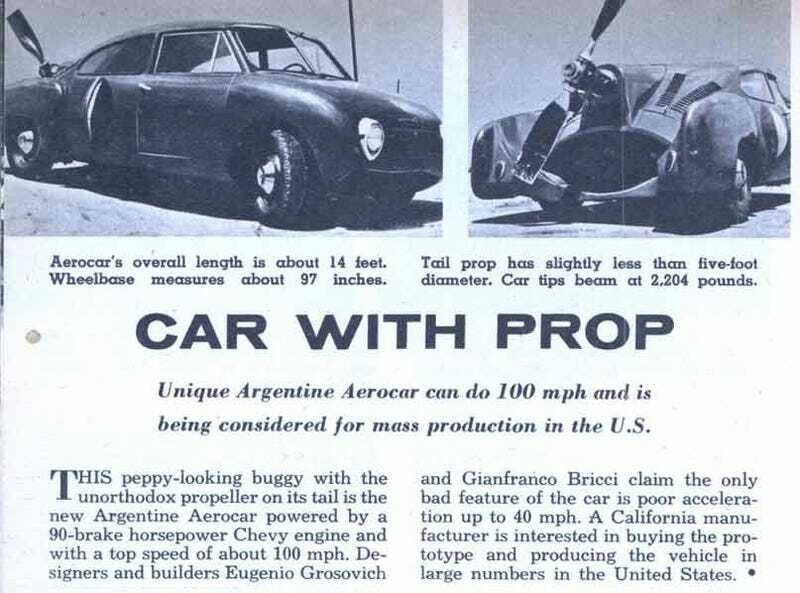 The Argentine Aerocar eschewed the normal automotive design for GIANT PROPELLER BLADE technology. The photo tells you pretty much all that we know—the car could reach 100mph using a giant fan to power its motion...probably forcing those driving behind to progress a bit less quickly.